Blast Cleaning Technologies provides detailed instruction to maintenance, engineering and operators covering the fundamentals of shot blasting systems. Training is conducted at our location or we can easily bring the training on-site to your facility. 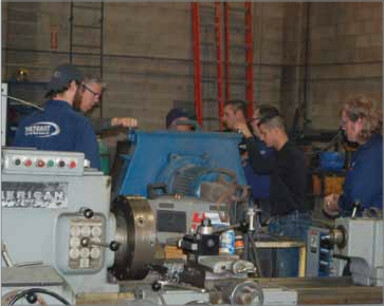 We offer multiple program outlines, including a mixture of classroom and hands-on training conducted right at the machine. All training is instructed by a member of our experienced service staff. Special process or component training is available on request.